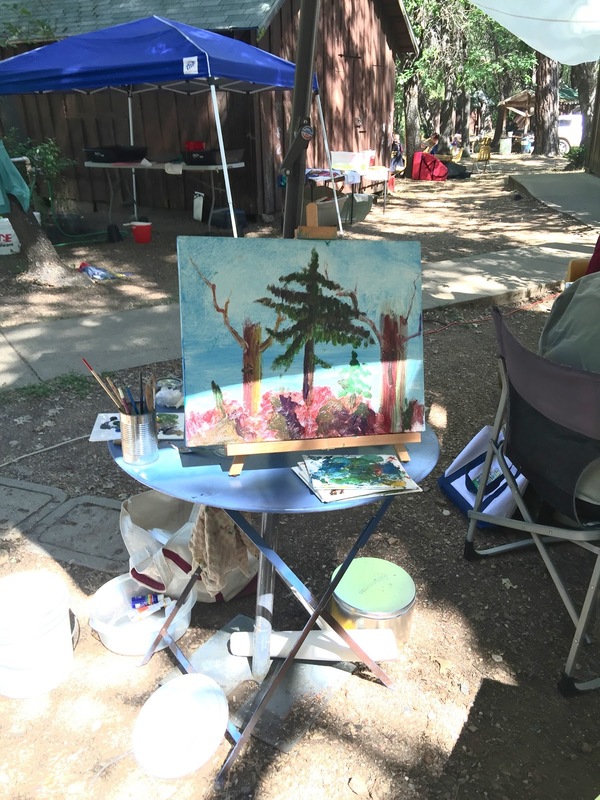 Oakland Feather River Camp at Quince, CA, my two acrylic paintings, June 2016. 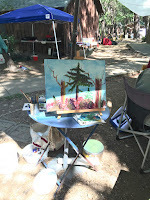 Durning June each year, Feather River Art Camp by Quincy, CA provides arts and crafts and an art show for artists. 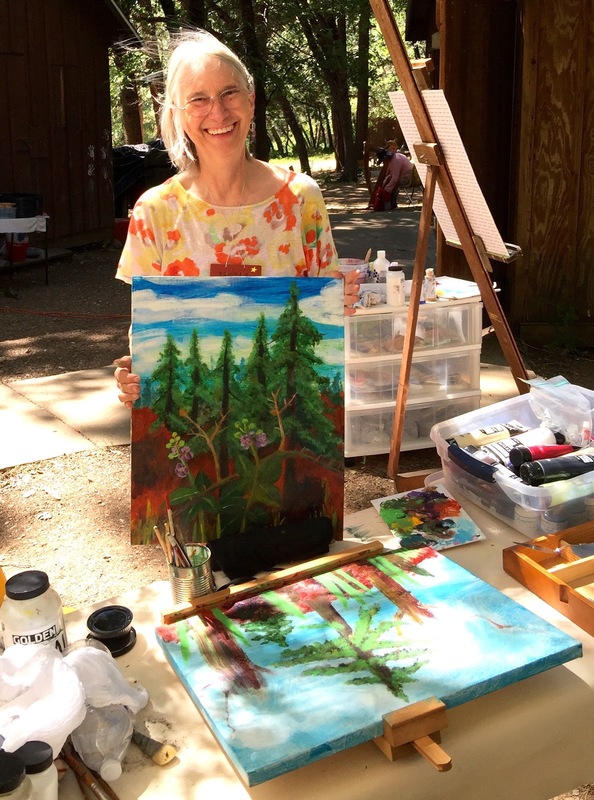 During the week we sleep in tents or rustic cabins and eat in a cafeteria and attend various workshops. 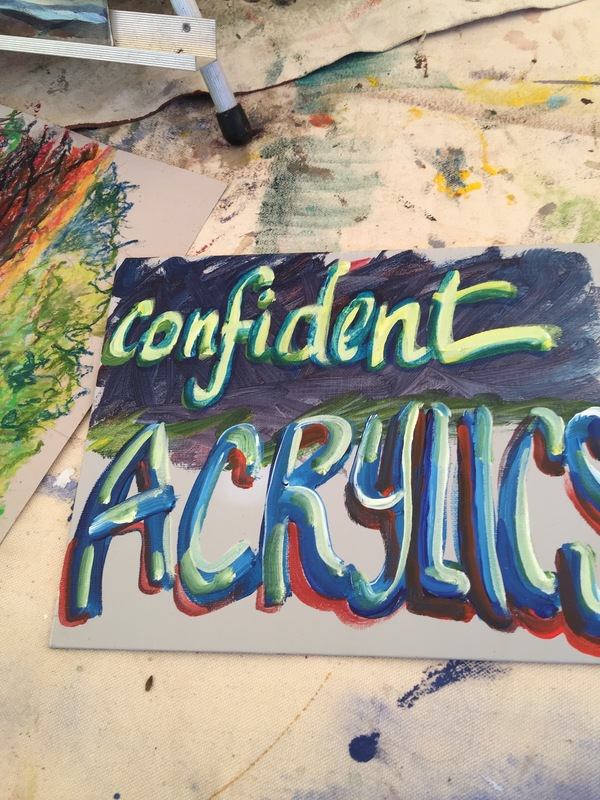 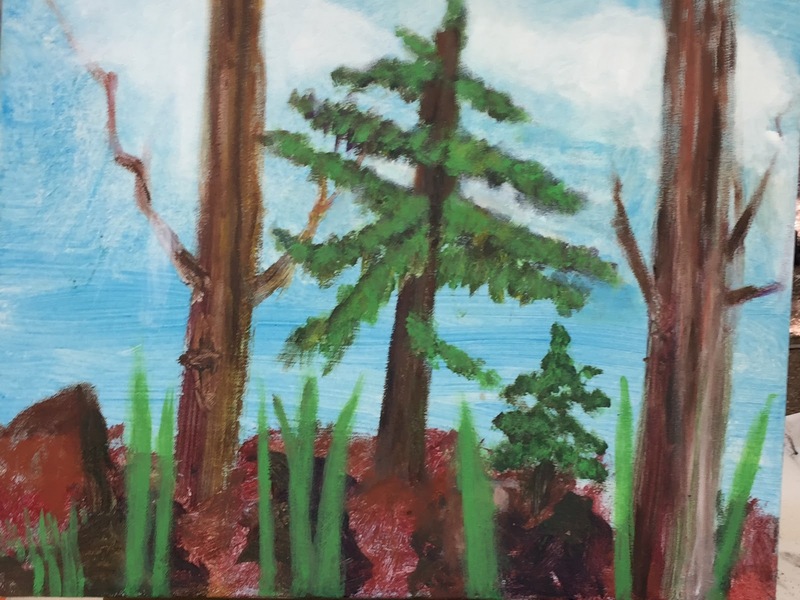 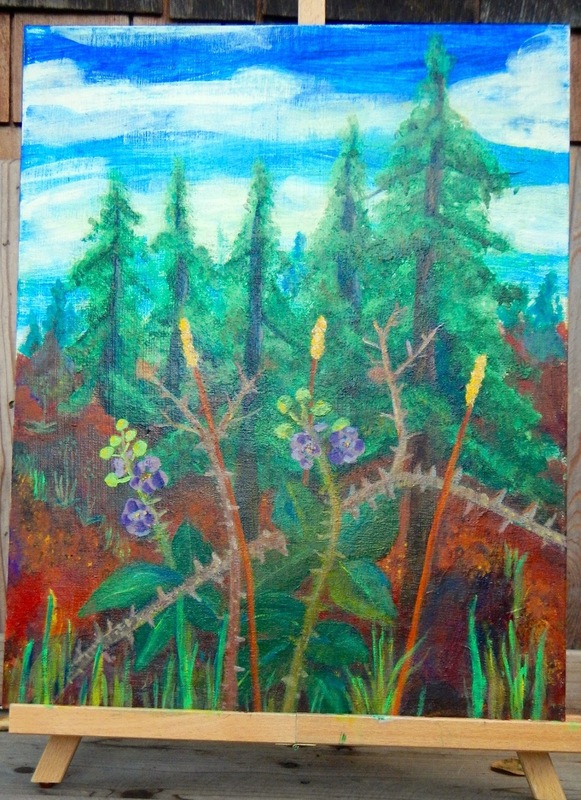 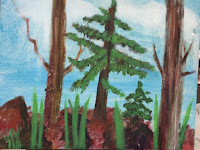 This is a camp I attended on Acrylics. 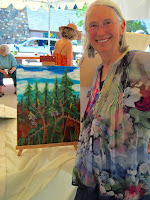 We have fun, create, and socialize; all focused on art.